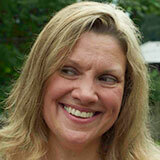 Carol Schram is a writer, runner, DJ and sports fiend. She holds a broadcasting diploma from BCIT as well as a BA in English and an MBA from UBC. Out and about, you’ll find Carol enjoying the outdoors, catching a band or watching the Canucks. 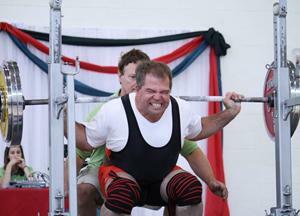 Dave Devison competes in the power lifting event. Get ready for another torch relay and cauldron lighting: the 2014 Special Olympics Canada Summer Games are coming to UBC from July 8-12. Held every four years, coaches, officials and more than 2,000 athletes with intellectual disabilities will be participating in 11 sports, including three new disciplines to make this the largest Summer Games in Special Olympics Canada’s history. Athletes will be vying for spots on Team Canada at the 2015 Special Olympics World Summer Games in Los Angeles. B.C.’s athletes are benefitting from a new initiative called the "Performance Project." Patterned after the Olympic "Own the Podium" program, Special Olympics B.C. is seeing significant results after just one year, and the program has caught the attention of Special Olympics Canada.